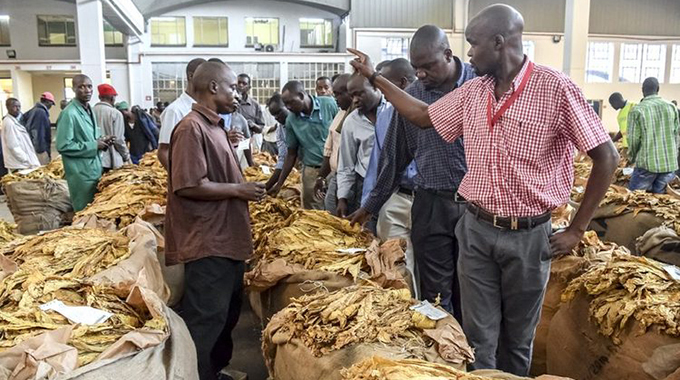 Zimbabwe is likely to surpass the 2017 /18 targeted tobacco output of 200 million kilogrammes, given that farmers have already delivered 190 million kgs, with over 50 days to go before the marketing season officially closes. The remarkable growth in deliveries beat last marketing season's 190 million kgs realised despite a serious mid-season drought that threatened to wipe out the crop. It is the third time the country is expected to beat the 200 million kgs target since 2010 but is still way below the 325 million kgs that was recorded in 1965. Fresh statistics indicate that considering the increase in tobacco output, earnings have also been rising, with farmers - who have increased from 98 705 in the past year to 144 905 - pocketing more than US$551 million in the first 56 days of the marketing season, from US$440 million last year.